On Jan. 17 I took part in a meeting between Salt Spring Island residents and representatives of Penelakut Tribe to discuss the proposed tenure application for a portion of Booth Bay. My office has received a volume of correspondence on this issue. I have heard the concerns of Salt Spring residents about aquaculture and access to the beaches at Booth Bay. My facilitation to help coordinate a face-to-face meeting is the first step toward seeking and finding common ground. It was clarified in discussion that Penelakut intends to develop aquaculture through seeding and manually harvesting clams. They have chosen to pursue an aquaculture tenure, so they can seed the beach with clams and oysters. They are seeking tenure of the area in order to practise the act of aquaculture. This tenure is in addition to their four currently existing tenures, which are adjacent to their reserve lands. There is a great deal of concern about the use of plastic predator netting, as is described in their application. Indeed, I share this concern. In our conversation, Penelakut representatives were clear that they do not use predator netting in their current operations and do not wish to use it at this location. Residents were reassured that they would not lose access to the beach. Once it is seeded the clams will take 18 months to two years to grow. When they reach maturity, members of Penelakut Tribe will harvest and depurate the product. As the beach could be contaminated the shellfish will be sent to a company on Vancouver Island to be depurated (cleaned) before they go to sale. This tenure application is evaluated and reviewed by the Ministry of Forests, Lands, Natural Resource Operations and Rural Development, Department of Fisheries and Oceans, and Transport Canada. I have had a number of exchanges with the senior staff of Minister Doug Donaldson and will discuss this application with Minister Donaldson when we return to the Legislature in February. I have been advised that a decision on this application will not be made until the summer of 2019. 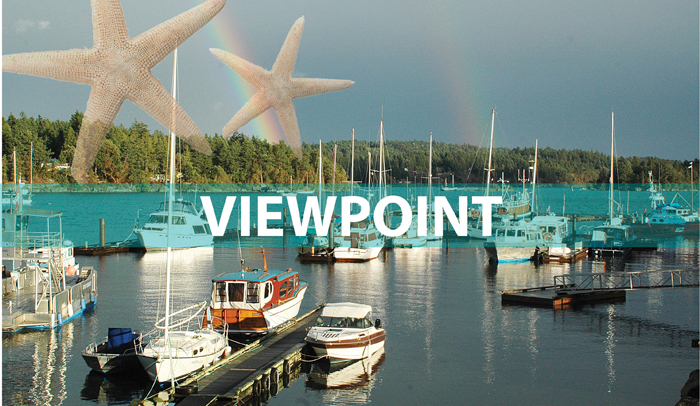 I recognize the tension that this application has caused for some Salt Spring residents. There are some foundation steps being made to develop a clear line of communication between both communities. As a member of the WSANEC people I also understand the important relationship the Coast Salish people have with the Salish Sea and harvesting seafood. It has been part of our culture and economy for countless generations. It is with this sensitivity and open mind that I will facilitate conversations between both communities.